High frequency generators (HFG), with engine power of 5 to 75 kW, are our key product for running high frequency machines. 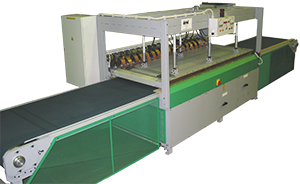 The power depends on what the machine is going to do, some of the possibilities being bonding, veneering, bending and drying. The presses are dimensionally designed according to workpiece dimensions. The cross-section of glued timber and the adhesive surface are critical in determining the necessary power when it comes to laminating or edge gluing. 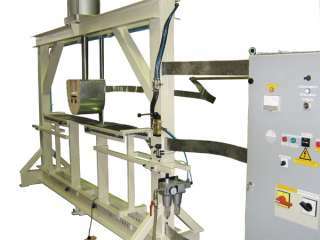 On the other hand, other parameters must be considered for bending, drying and veneering. In addition to the basic machinery we also offer solutions for workpiece transport, glue application, and the much-needed protection against HF interference.